Went for a hike yesterday on Powder Mountain, a ski hill, with a group of old and new friends. We came across Hidden Lake, which afforded an opportunity for wading, swimming, and plummeting from a rope swing. 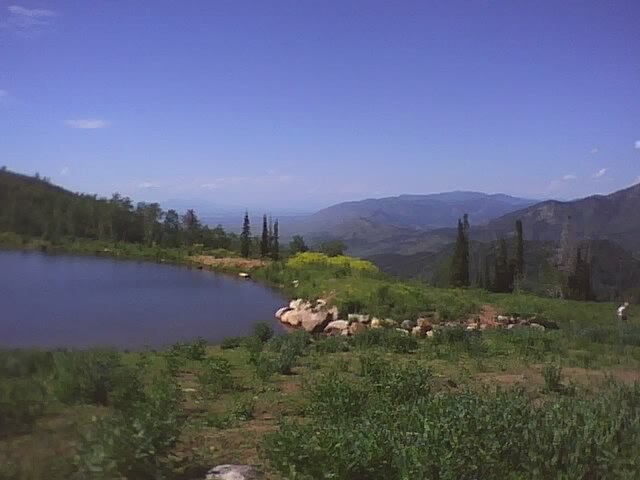 The valley seen in the distance is where we live, Cache Valley. I miss it (Cache Valley) badly.